Habitat for Humanity Mid-Vancouver Island Society is pleased to announce that it has appointed Marcel Aubin as its new Executive Director. Marcel, who has lived and worked in the Cowichan Valley for many years, is looking forward to leading Habitat MVI into an exciting year which will see the society start work on at least eight new homes in the Cowichan Valley. Prior to joining Habitat MVI, Marcel worked at executive and management levels in various environments including Indigenous, Intercultural, municipal, union, non-profit and self-employment. In the community, he has served as chair and board member of several non-profit boards including the Cowichan Intercultural Society, Literacy Now, the BC Association of Friendship Centres and most recently the Cowichan BC Summer Games. Marcel is dedicated to strengthening families and communities and as such feels like Habitat is a great fit to affirm these principals and values. Habitat’s mission is to build strength, stability and independence through affordable home ownership. Marcel appreciates the vision and purpose of Habitat which is to provide families with a secure and safe place to live creating the opportunity for these families to contribute to the local community. 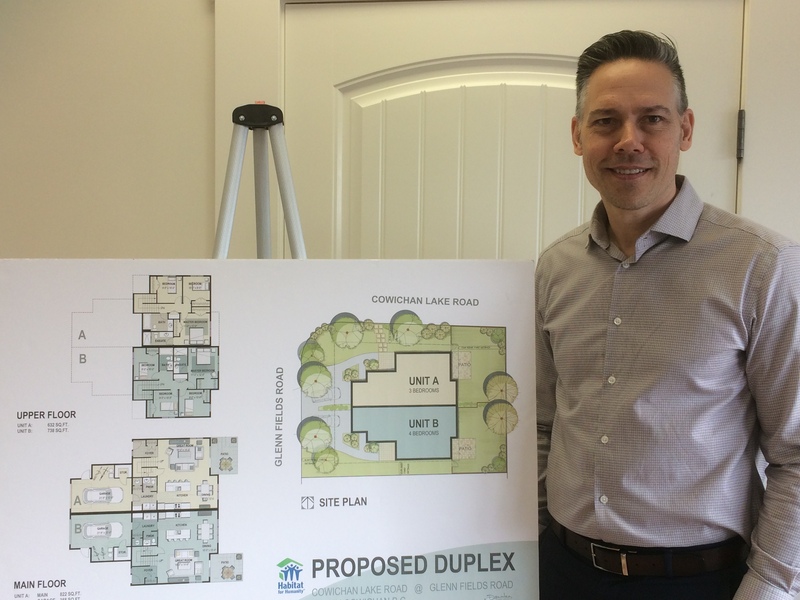 Habitat for Humanity Mid-Vancouver Island has ambitious plans to build up to 18 new homes in the region over the next two to three years: A duplex in the Cowichan Valley, a 6-plex in Duncan and 8 – 10 homes in Nanaimo. The society is continually looking for further opportunities to develop affordable housing in its region which stretches from Duncan to Qualicum Beach to Port Alberni and Tofino.